Millennials have been blamed for killing everything from diamonds to canned tuna, but they’re still a shot in the arm for the Canadian housing market, a new report suggests. “There’s no doubt the Canadian housing market has slowed in the past year, but the latest data on construction suggests the downward trend is stabilizing,” writes Sal Guatieri, a senior economist and director at BMO, in a note on the latest national housing starts data from Canada Mortgage and Housing Corporation. While housing starts — a measure of the rate at which work is beginning on new homes — wane, they remain around the “elevated” levels seen over the last eight years. 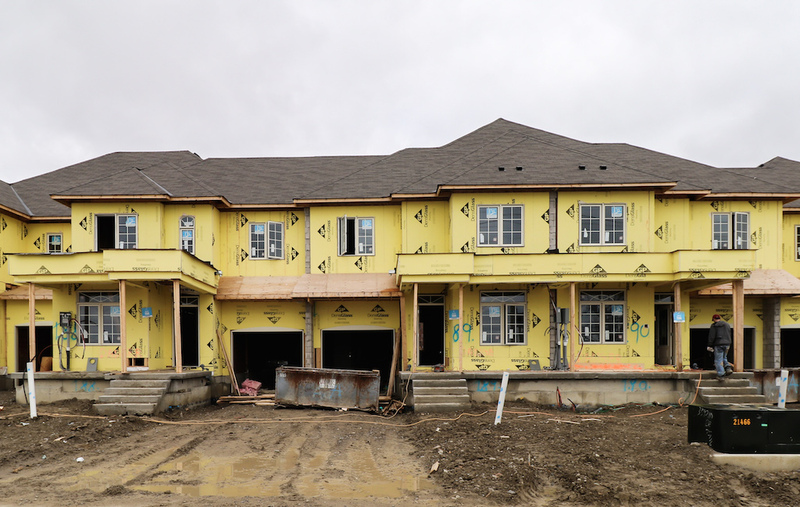 Housing starts increased 15.8 percent in annualized terms, meaning the current rate suggests contractors are on pace to break ground for 192,500 new homes in Canada. So what — or who — is to thank? “Interest rates look to have peaked and could reverse course. Underlying demand remains robust given the fastest population growth since the early 1990s, while aging millennials will remain a force for a few more years,” Guatieri continues. In a followup interview, Livabl asked when does a generation typically stop being a demand-driving force in the housing market? “For household formation, the age group you’re really interested in is between 25 and 34,” Guatieri replies. “You can probably widen that out on the top end to 39 years old,” he adds. These are prime years for first-time homebuyers. Millennial demand is anticipated to grow “at least for the next year or two at an above-average pace,” Guatieri explains. That should keep household formation — and the knock-on homebuying demand that comes with it — “pretty healthy” over this period, he suggests. But early next decade, that trend will turn negative. This hasn’t happened since the early-‘90s, when many Baby Boomers had already purchased their first homes and roughly a decade of housing-market stagnation set in. A number of differences in today’s market suggest history won’t repeat itself this time. “We clearly had a housing bubble, at least in the Greater Toronto region in the late 1980s that burst,” says Gautieri. Unforeseen interest rate increases in ‘80s resulted in double-digit mortgage rates, and the impacts continued to be felt in the next decade, when there was a recession. “I would not anticipate those conditions this time around,” says Guatieri. Generation Z, those born between the mid-’90s to mid-2000s, will pick up some of the slack as well, but not until later in the next decade. “Generation Z will pick up where the Millennials left off, but they’re a smaller age cohort,” Gautieri tells Livabl.